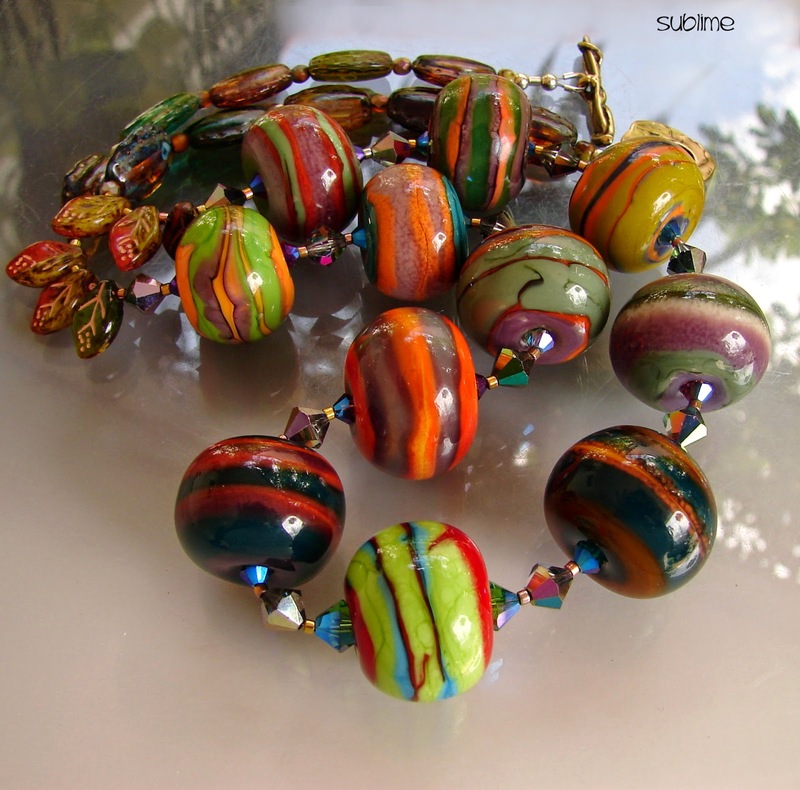 Art Glass Beads and Jewelry. Sunset Drive (72nd Street), between US-1 and Red Road (57th Avenue) in South Miami. I won in the Glass category, year 2011 !!! Hi everybody, this upcoming weekend I will be offering my Art Glass Handmade Lampwork Beads and Jewelry at the prestigious LAS OLAS ART FAIR. Please copy and paste link for all details. Thanks for visiting! Booth 172, Laura Blanck from Openstudio/Openstudiobeads. at the wonderful St. Stephen's Fine Art Show. Visit me at Booth 301. "Top ranked outdoor arts and fine crafts festival. Celebrating 26 Years of Community & Art! Highway, Coconut Grove, FL 33133." My next Fine Art Show: Boca Raton Museum of Art Festival in Mizner Park! I will be offering my glass art, beads and jewelry. Visit me at booth 132. See you! The Boca Raton Museum of Art's nationally-acclaimed annual art festival, named one of the Top100 Art Festivals in the country's, is a free, two-day event in Mizner Park. The Art Festival brings artists from across the US to display a lively, inventive, and exciting array of artwork. Over 250 artists have been selected to participate, giving tens of thousands of visitors to Mizner Park in Boca Raton a chance to see and purchase one-of-a-kind art: paintings, sculptures, jewelry, wood art, fiber art, photography, ceramics/pottery, mixed media, graphic design, crafts, glass... Hours: Saturday, 10 am to 5 pm; Sunday, 10 am to 5 pm. My next Fine Art Show: South Miami Art Festival, November 1 & 2, 2014. Come and visit! Booth 85. I will be offering my Art Glass Beads and Jewelry. 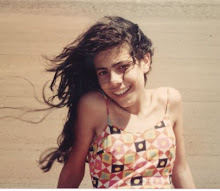 My https://www.flickr.com/photos/laurablanck/ is getting bigger.... Take a look to all photos for so much eye candy.... Enjoy! 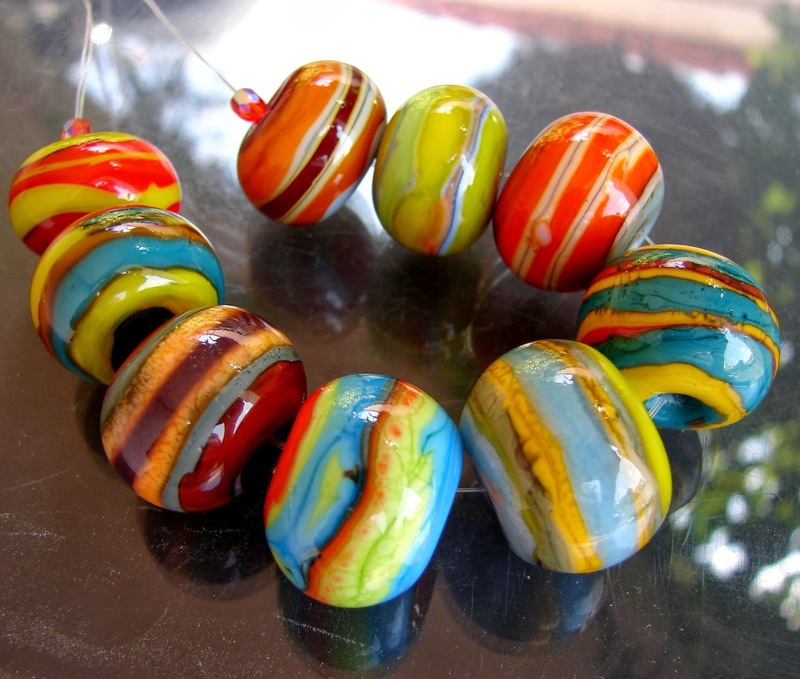 And this is the Bead Soup I've sent her, my handmade glass lampwork beads (shiny Ruedas with lines/stripes, bumpy Flowers and a gigantic matte frosted etched Rock; multicolor, colorful, whimsical, funky, one of a kind and BIG! I've added Czech glass beads and Crystals. 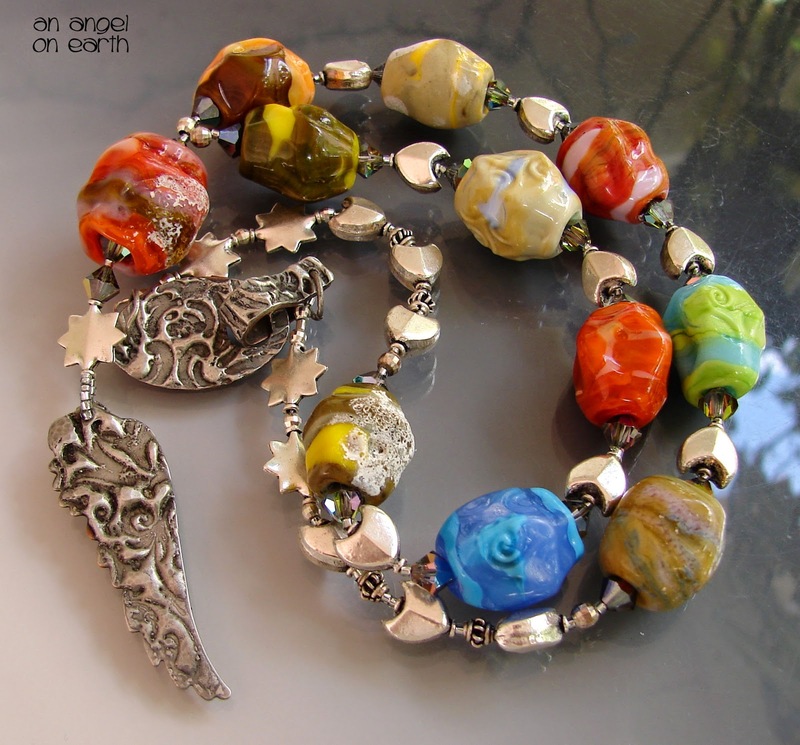 The clasp is handmade with bronze by Cathy Dailey. 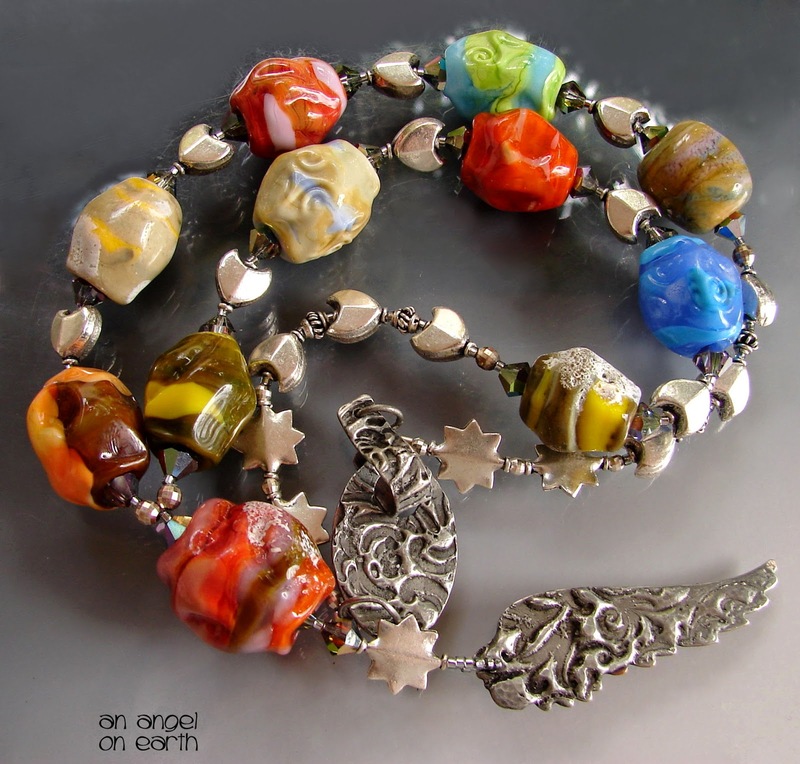 And is that time of the year, once again there is this wonderful "Bead Soup Blog Party"!!! It's an amazing huge event where almost 600 artists all over the world participate with their art work. 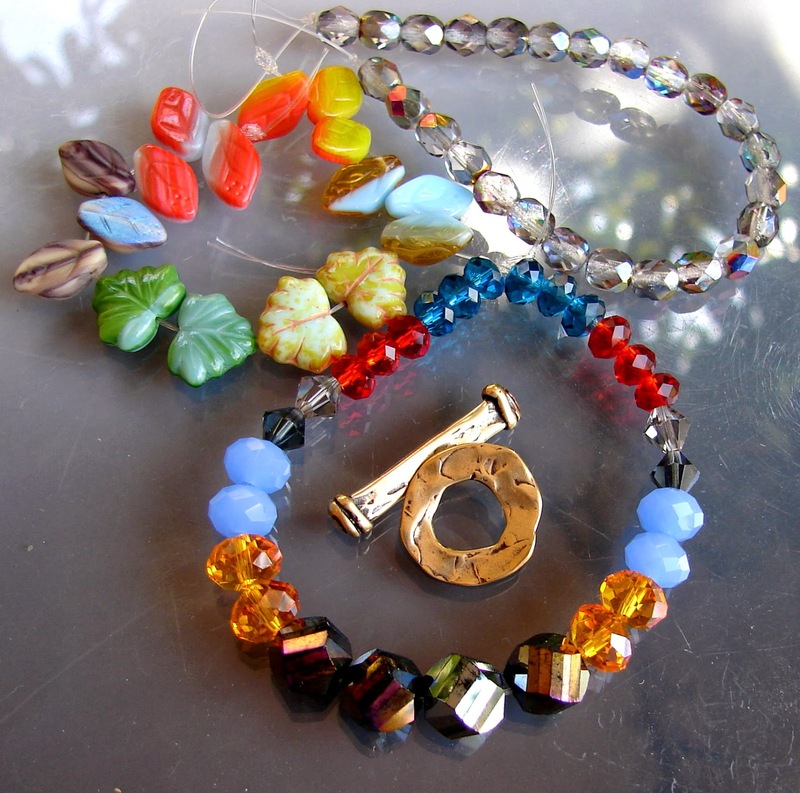 We will be exchanging beads and goodies, and then, we will be posting the results of our creations in our blogs. 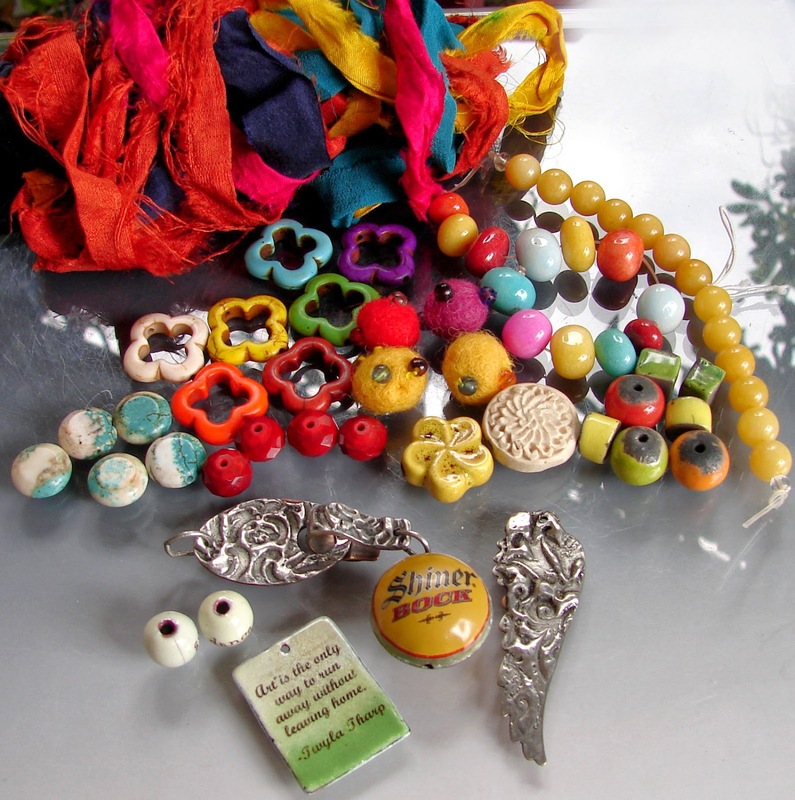 This year the big reveal for the 8TH BEAD SOUP BLOG PARTYl will be on May 3rd. Please join us for so much fun!!! 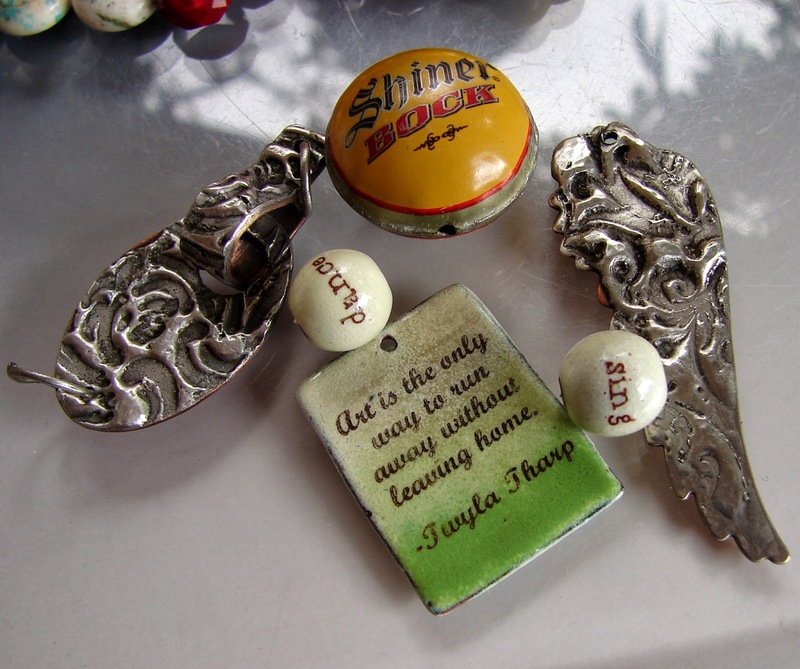 I've been paired with the gorgeous Laura Guenther from http://blueantiquities.blogspot.com/ , please visit her site to take a peak at her artistic life. I've just sent my pretty box full of my choices for her to play with, I've dedicated with my best effort to surprise her and make her smile! I hope she likes everything I've sent, oh boy, it took me forever to complete this endeavor!!!!! I can't wait to see what she is sending me so I can continue with this challenge! 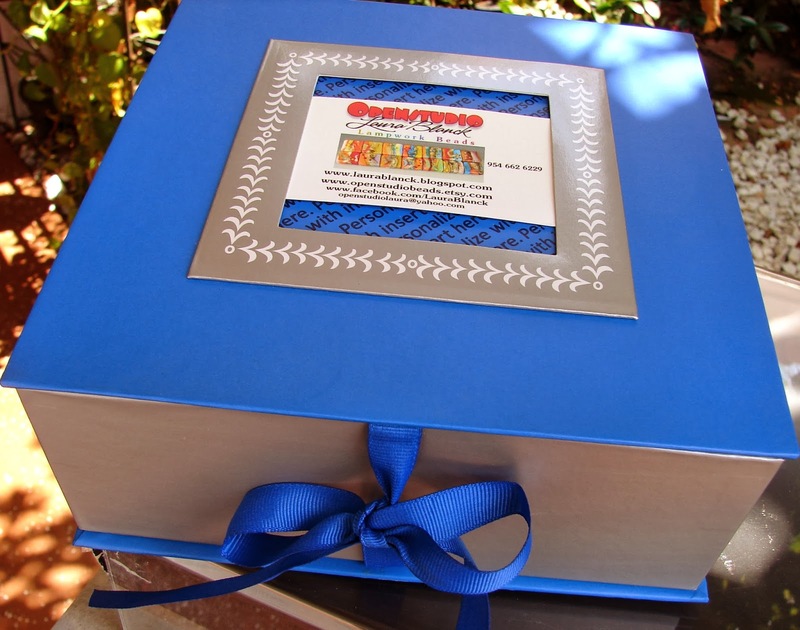 Here is the photo of the mysterious box I've sent her, the day of the party I will be posting the photos of what was inside. I will be posting photos of what she sent me and the outcome of my design.... Cheers! Hello everybody! Super happy to participate this upcoming weekend in one of the most prestigious Fine Art Shows in USA, ranked among the top 5! I will be offering my glass art creations, my own handmade glass beads and jewelry. Visit me at Booth 507. See you there! The media says: "Celebrating its 51th anniversary in 2014, the Coconut Grove Arts Festival® is the nation’s top outdoor fine arts festivals. The three-day festival showcases the works of over 380 of the finest artists and craftsmen in the world. A signature event of the South Florida cultural calendar, the Arts Festival is a true "Celebration of the Arts" offering visitors the opportunity to meet with exhibiting artists, sample fine cuisine, enjoy live entertainment and take in the tropical waterfront views of Coconut Grove..."
This upcoming weekend I will be exhibiting my Glass art work at the wonderful St. Stephen's Fine Art Show, "Art is in the Heart, President's Day Weekend... Visit me at Booth 400!!! 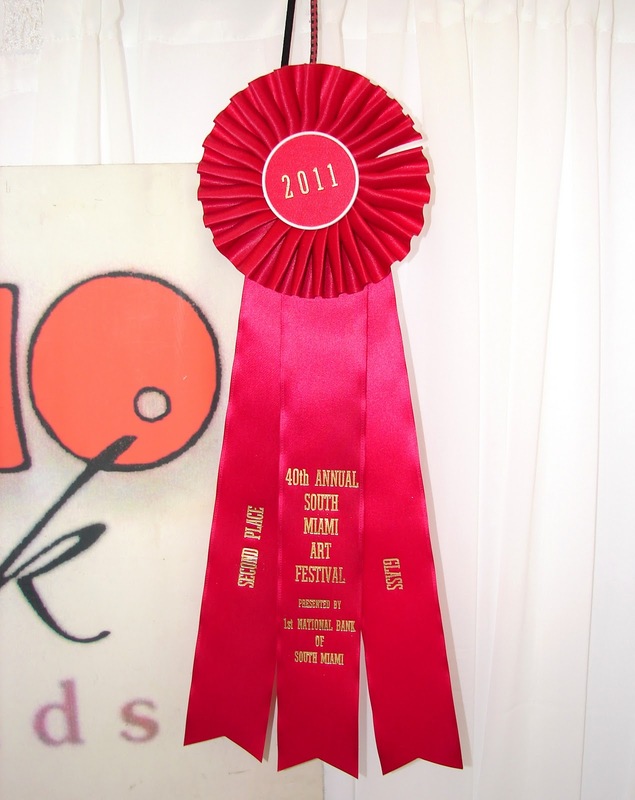 ..."Top ranked outdoor arts and fine crafts festival... 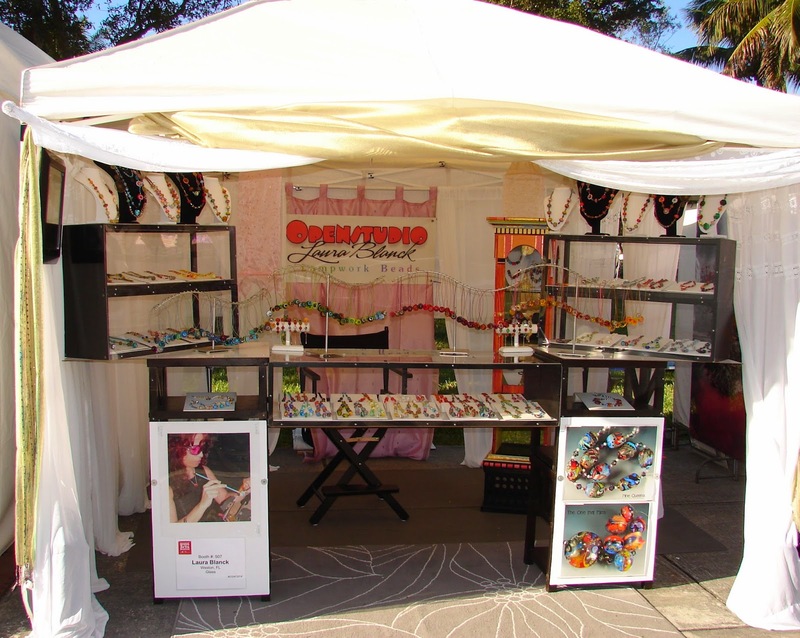 Most recently ranked 8th in the country in Sunshine Artist Magazine’s “Best 200 Fine Art Shows”, the St. Stephen’s Art & Craft Show plays an important role in the South Florida Art Scene that takes place in Coconut Grove over all three days of Presidents’ Day Weekend. The 2013 Show, held annually on Presidents' Day Weekend, takes place Saturday, February 16th through Monday, February 18th, 2013 from 9:30am to 6pm. Visitors will enjoy the artwork of over 160 renowned fine artists and craft people, an international food court, children’s activity area, an authentic English tea room and musical entertainment, all on the shady campus of St. Stephen’s in the heart of Coconut Grove, 2750 McFarlane Road..."
My next Fine Art Show: Mount Dora! Super happy to let you know that I will be participating in this amazing Fine Art Festival @ Mount Dora in Florida. What a wonderful way to begin February. Saturday 1, Sunday 2. Friday and Monday are also part of my trip. I love that place!!! This nationally ranked fine arts festival attracts 285 artists from all over the world. The fine arts are displayed throughout the downtown village attracting thousands of visitors. For more information please call the Mount Dora Center for the Arts. My next Fine Art Show: South Miami Art Festival, November 3 & 4, 2012. Come and visit! Booth 56. 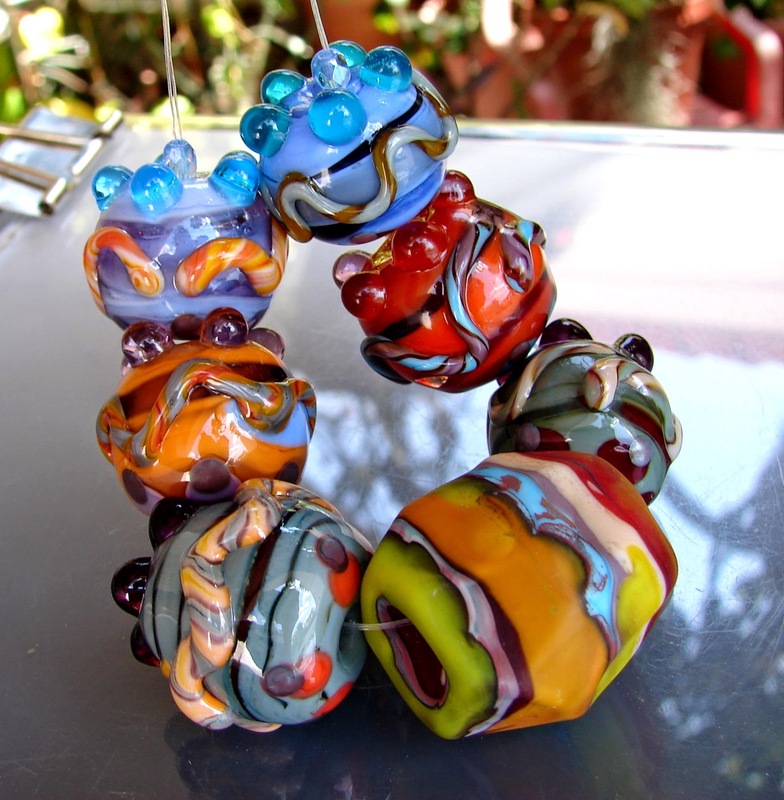 I will be offering my Art Glass Beads and Jewelry. Last year I won in the Glass category!!!!!!!!!!!!!!!!!!!! This is by far the biggest Chamber South event. There will be over 50,000 visitors who come through the Art Festival over the course of the two days. Celebrating the 41st year on the quaint streets of downtown South Miami, this juried fine art show features nationally recognized artists and is a favorite annual event for residents and visitors alike. The 41st Annual Show will be held on November 3 & 4, 2012. They have selected over 120 artists to this year’s show! The Rotary Club of South Miami proudly presents its 28th annual festival during the last weekend of February. 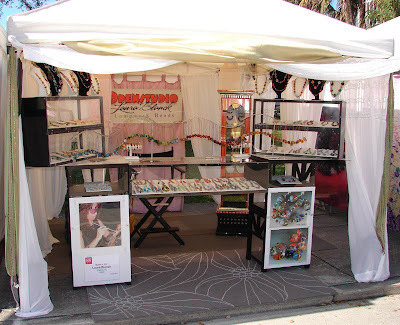 The South Miami Rotary Art Festival takes place in the vibrant downtown area of South Miami on Sunset Drive (SW 72nd Street) from US 1 to Red Road (SW 57th Avenue) adjacent to The Shops at Sunset Place. The area is filled with historic buildings, restaurants and unique shops. Just three miles south of Miami's Coconut Grove, South Miami borders the University of Miami and the beautiful neighborhoods of Coral Gables and Pinecrest. There is free admission for patrons with ample nearby parking on-street and in garages. The festival features 148 outstanding artists, a fine expanded food court and beer garden, a Children's Alley, and mellow music." My next Fine Art Show: St. Stephen's at Coconut Grove, Florida. Hello everybody, just a quick note to invite you this upcoming weekend to the wonderful St. Stephens's Fine Art Show @ Coconut Grove. 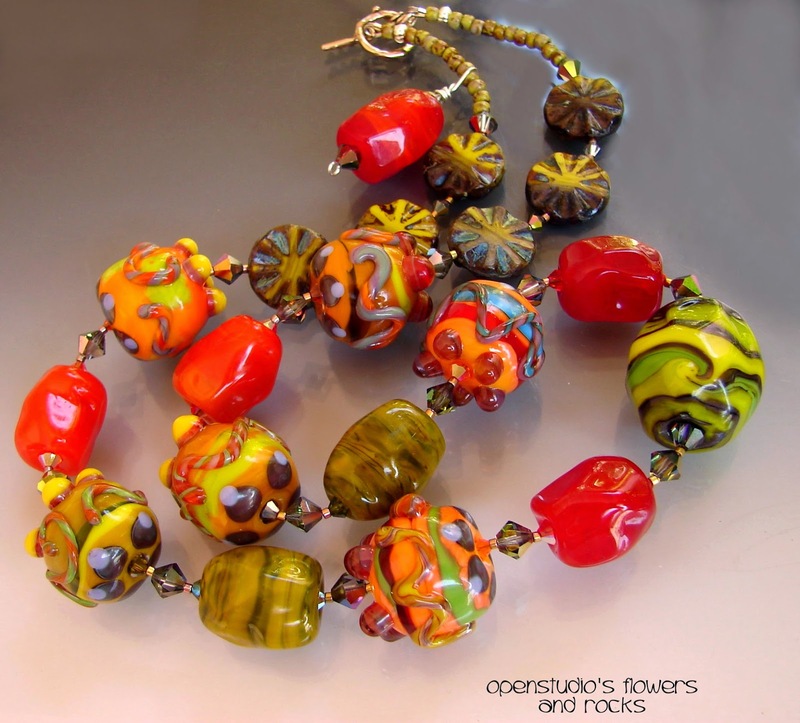 I will be offering my Handmade Lampwork Glass Beads and Jewelry Art. Booth 405. "The 2012 Show, to be held Saturday, February 18th through Monday, February 20th, 2012 from 9am to 6pm will mark 24 years of the St. Stephen’s Art & Craft Show. Visitors will enjoy the artwork of over 160 renowned fine artists and craft people, an international food court, children’s activity area, an authentic English tea room and musical entertainment, all on the shady campus of St. Stephen’s Episcopal Church located at 2750 McFarlane Road, right in the heart of Coconut Grove, Florida." This upcoming weekend I will be participating w/my Art Glass at the 26th ANNUAL JURIED ART FESTIVAL in Boca Raton, Mizner Park. Booth 122. January 28 & 29, 2012 from 10:00 AM to 5:00 PM. 501 Plaza Real, Boca Raton, FL 33432. "The Boca Raton Museum of Art invites you to our 26th Annual Outdoor Juried Art Festival. Named one of the "Top 100 Art Festivals" in the country, the goal of this prestigious show is to select and present the highest caliber of fine art to our knowledgeable and discriminating audience. The Museum favorite boasts crowds of 60,000 and will feature more than 250 artists working in a variety of media: painting, sculpture, jewelry, wood, fiber, ceramic, pottery, graphics, drawing, photography, mixed media, crafts and glass." My next Fine Art Show: 12th Annual Downtown Delray Beach Thanksgiving Weekend Art Festival. 12th Annual Downtown Delray Beach Thanksgiving Weekend Art Festival, November 26th & 27th, 2011, Saturday & Sunday 10:00 AM - 5:00 PM. Pineapple Grove in Downtown Delray Beach, Fl. 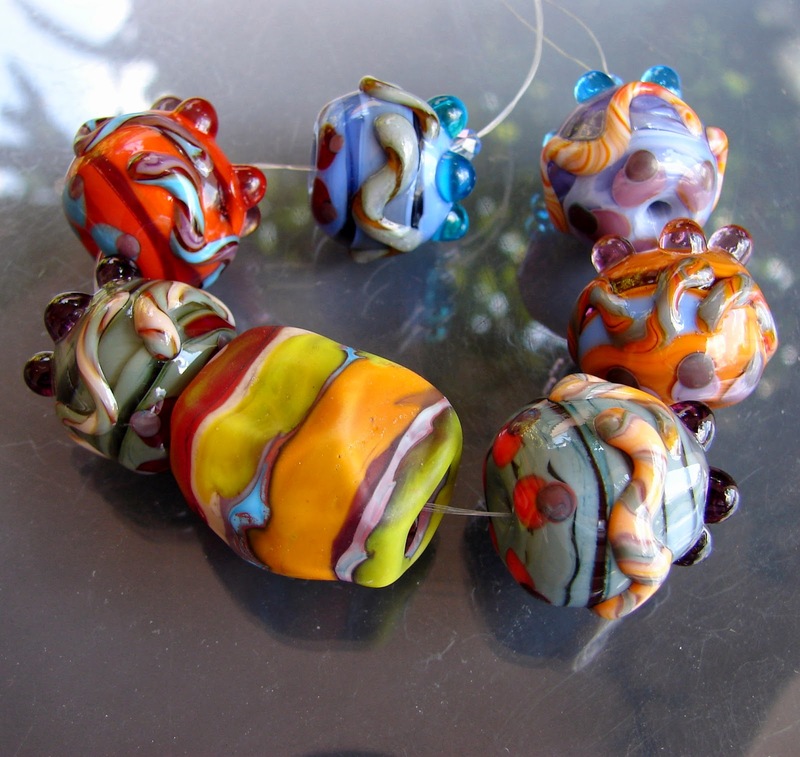 I will be offering my Glass handmade lampwork beads and jewelry art. The layout for this show is beautiful! The event is held in the popular Pineapple Grove, an arts district in Downtown Delray Beach. Come peruse some of the countries finest arts & crafts from life sized sculptures, paintings, handmade jewelry, pottery, and some of the most unique treasures by artists from all over the world. This upcoming weekend November Saturday19 & Sunday 20 (from 10 to 6) I will be participating at the fine art Show ART FEST BOCA, Mizner Park Amphitheater, 590 Plaza Real, in Boca Raton, Florida. 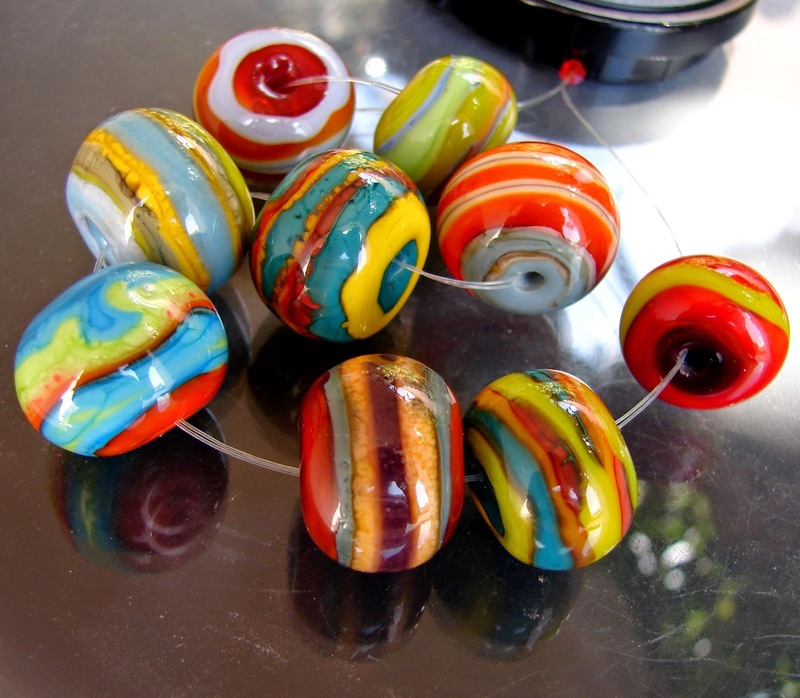 I will be offering my glass handmade lampwork beads and jewelry art. Come and visit me at booth 232. See you there! I WON AN AWARD!!! At the SOUTH MIAMI FINE ART FESTIVAL I got Second place winner in GLASS ART!!!! The First one was an artist that blows glass, she does large items.... The judges were amazed with my beads, usually they consider my art part of the Jewelry contest, but this time I won in the Glass category..... Yiiipppppppyyyyyyyyyy!!!!!! My next Fine Art Show: South Miami Art Festival, November 5 & 6, 2011. 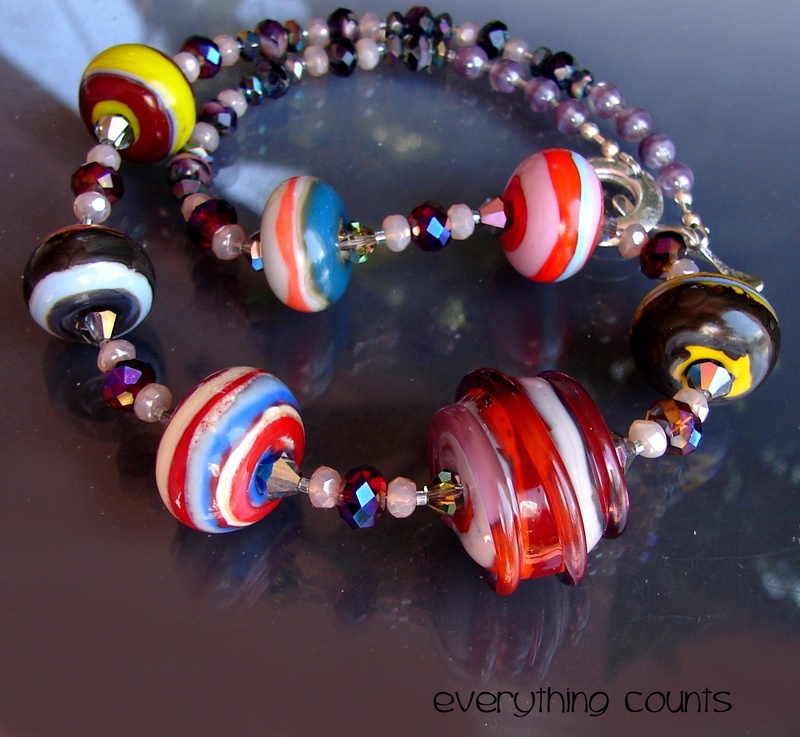 I will be offering my Art Glass Beads and Jewelry. 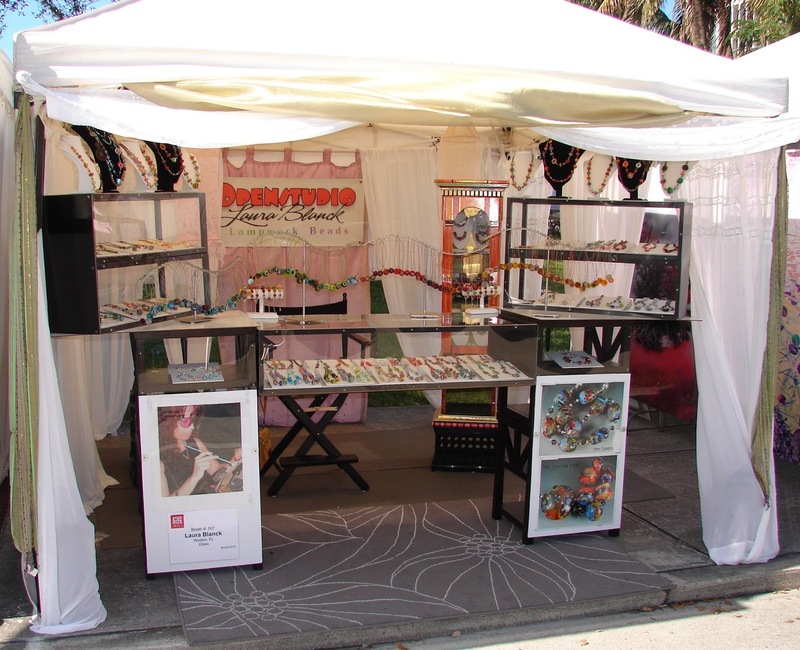 "The South Miami Art Festival presented by Chamber South is a two-day fine arts festival held each year on the first weekend in November. For many years the show enjoyed being the first event of the festival season in South Florida and remains a local favorite. Each year more than one hundred and fifty artists and food vendors come from all over the Americas to downtown South Miami. What began as an opportunity to highlight South Miami's merchants has become a renowned family event." The moment has arrived! 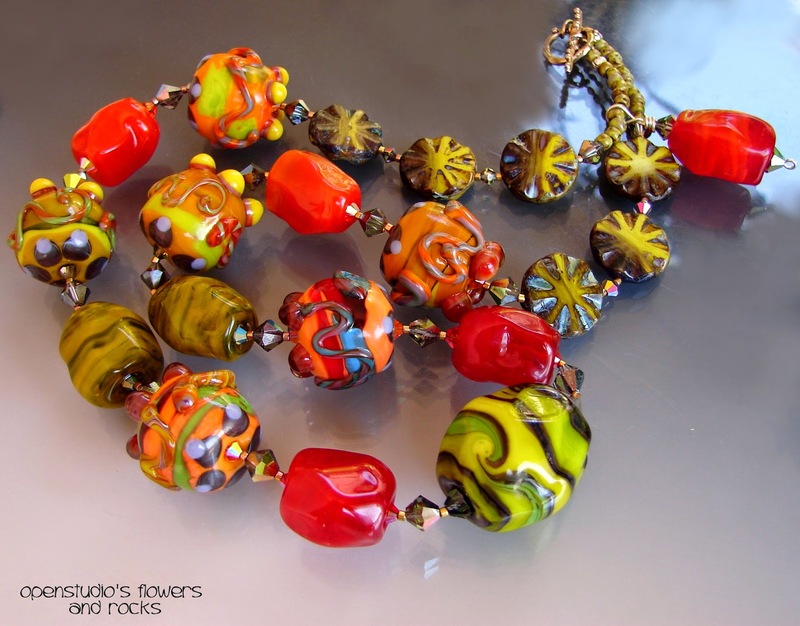 The Bead Soup Blog Party continues now revealing our creations! I could not commit to white and red, I had to add colors!!! 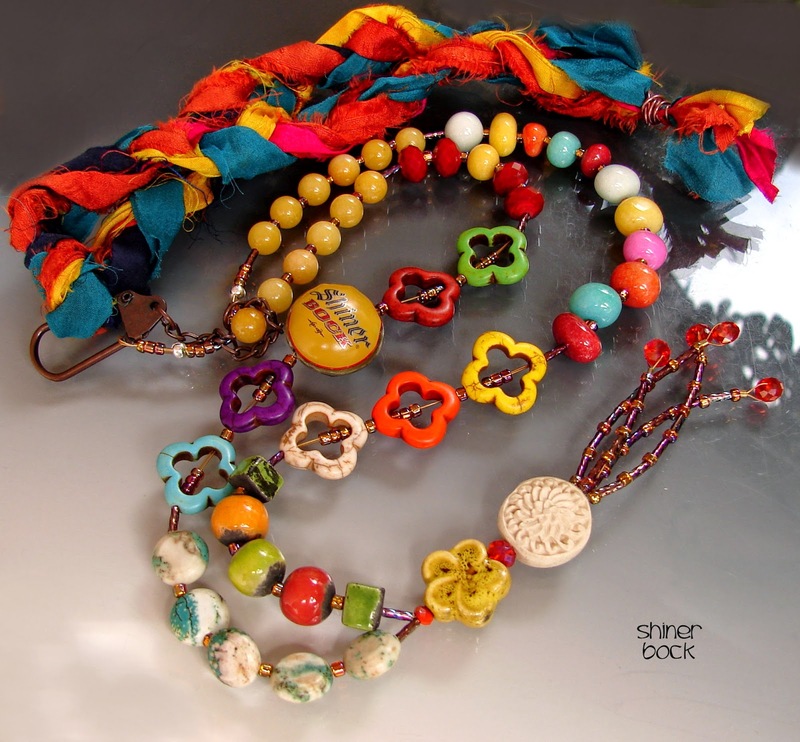 I love multicolor, colorful, whimsical and funky! I've made a long necklace with the white pearls, red beads, and central focal handmade seeded beauty that Karin sent me. I've found in my stash some cute millefiori donuts glass beads, Vitraux Sarowski crystals, Japanese seed glass beads, Czech glass beads, rare Sterling Silver beads and a Sterling Silver clasp (The golden clasp she sent will be for a bracelet in the near future, I needed a stronger one for this long piece). 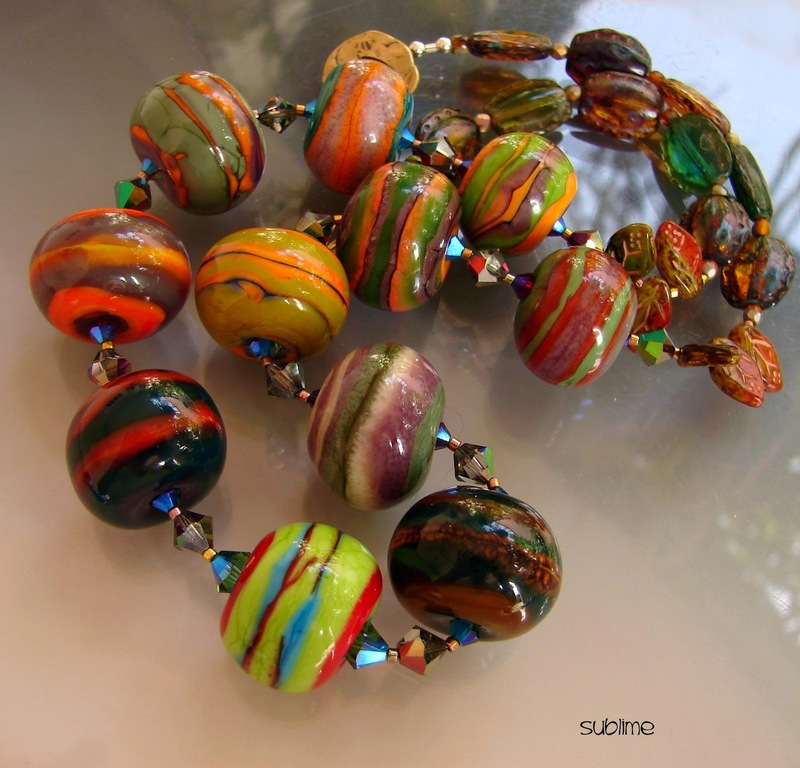 I made another shorter necklace with my glass handmade lampwork beads, "Ruedas" style, bold, stripy, and again: colorful and multicolor, whimsical and funky. These type of beads will be soon featured in the next "Belle Armoire Jewelry" magazine. The central focal one is immense, approx. 30mm. x 23mm. I've completed this necklace with vitraux and burgundy crystals, rare Czech glass beads and a Sterling Silver clasp. I was very enthusiastic about the idea of using these 2 pieces either together or separated. I embrace that independence! I've named this set "EVERYTHING COUNTS". I have enjoyed every single moment of making the beads, the ones I've sent Karin and these ones, I had fun designing and participating in this event. Thank you all! Please click on photos for better details with the zoom feature. Please keep scrolling down the page to see the original packages that were sent, I've posted the photos in my previous update. Hi everybody, this Saturday 17 of September there is a huge event in the jewelry world, the BEAD SOUP BLOG PARTY. More than 350 artists all over the world are participating. We have exchange beads, and we will be posting the results of our creations in every blog, please visit later to see them! So, I have sent her a package and she sent me one. We have created pieces with what was sent to us. Stay tuned to discover all creations very soon! These are the lovely items Karin sent me, together with a cute wooden angel. I believe she handmade the focal bead with seed beads. She certainly challenged me with white and red, but I've been faithful to my tendencies, and you'll see later tonight what I came up with! And these are the colorful items that I've sent her, my handmade lampwork glass beads, in the style of "Ruedas" that I love so much, the Czech beads are similar to the ones in the photo, not exactly the same because I was in such a hurry to go to the Post Office that I forgot to take the picture of them (with their wonderful chartreuse tone! 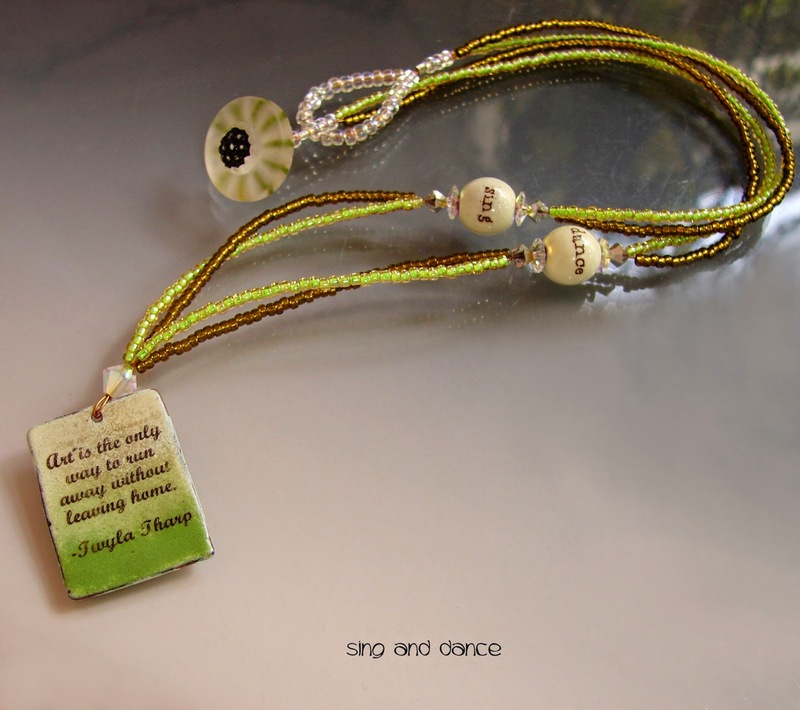 ), but the sterling silver artisan clasp and the Swarovski crystals are the same. Hi everybody! Once again: it's Showtime! I will be participating this upcoming weekend in the wonderful St. Stephen's Fine Art Show in Coconut Grove. I will be offering my glass art jewelry at booth 335. Entering its 23rd year, the highly anticipated St. Stephen’s Art Show (SSAS) will be celebrating its three-day long festival from Saturday, February 19th through Monday, February 21st, 2011 from 9am to 6pm. Known as one of South Florida’s most popular outdoor art festivals, the SSAS only charges a $1 admission to adults and children over 12, and serves as a non-profit event that helps to fund outreach programs in Miami. Visitors can enjoy artwork from more than 160 renowned artists, an international food court, children’s activity area, an authentic English tea room and musical entertainment, all on the shady campus of St. Stephen’s Episcopal Church located at 2750 McFarlane Road, right in the heart of Coconut Grove, Florida. I hope you are all doing super fine, thank you again for your support, all the best for you, Laura Blanck from Openstudio. My next Fine Art Show: prestigious Boca Raton! This upcoming weekend January 22 and 23, 2011, I will be participating with my Glass Art Jewelry at the Boca Raton Fine Art Show in Royal Palm Place, if you are in Florida or simply have big and magical wings please visit me, booth 117. See you there! December 26th & 27th, 2010- This is a Sunday/Monday Show! Located in Downtown Delray Beach, in Pineapple Grove. Take I 95 East to Atlantic Avenue, go East to Second Avenue, Show located at Second Avenue and Atlantic Avenue. See you there!